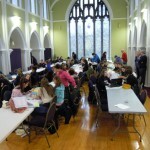 A two day Ideation Camp for young people takes place annually over two days and is part of a collaborative venture between Intel, Galway and Corrib Lions Clubs and the Educational establishment and local schools. The purpose of the Camp is to inspire innovation , ideas and entrepreneurship in young people. 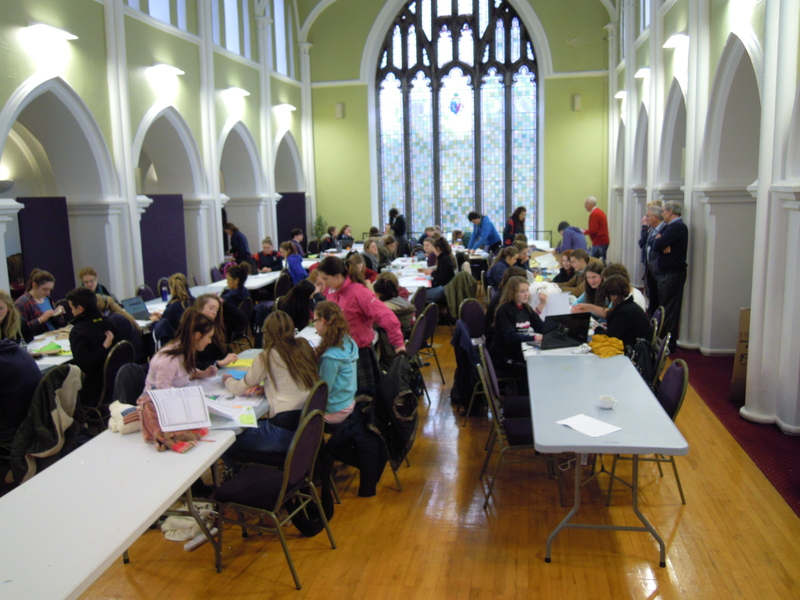 Each year anything between 70 -120 Transition Year students participated from throughout Galway. The young people are set a challenge to come up with innovative ways to use technology to address a topic that they are set. The young people normally aged between 15 to 17 years, are placed in teams and invited in a structured way to address this challenge in their own way. The Lions Club members are involved in making this project a reality and during the day are on hand to mentor and assist the teams. It is interesting to watch the young people come in, develop their team approach and get down to identifying their proposal, research it and present it before independent judges and the assembly of students gathered. . The winning team goes on to compete in the National finals later on in the year. Participants feel that they benefit from getting first hand experience of having to work in teams on a problem. Some find the challenge of presenting in public nerve wracking , but they generally agreed that there is great learning in what is a fun atmosphere for the two days. The Galway Lions Club has been associated with this project since 2012 . The Galway Lions club, along with clubs across the world, sponsors this art contest annually in local schools or organized, sponsored youth groups. Each year there is a particular theme. “The Future of Peace” is the theme of the 2017-18 Peace Poster Contest.